WP Affiliate Profit Plus – Increase Conversions is the elite WP Affiliate plugin that’s going to show you how to systematically clean up your website business platform. This will push your conversions up and increase your total profit. They can also be used to help identify the different products to each of your visitors. An invaluable tool when you are looking to secure your solid online income stream for the long run. If you sit in the dark too long online you will never gain the credibility you need to increase rank, drive up conversions, increase authority and push your bottom line profits straight up. This is the software solution that will give you the power to take charge of the direction of your online business and from there you can build the confidence and know-how to make the best decisions for your growing online business. All the tips and proven techniques will be covered to ensure you will set yourself up for success quickly. 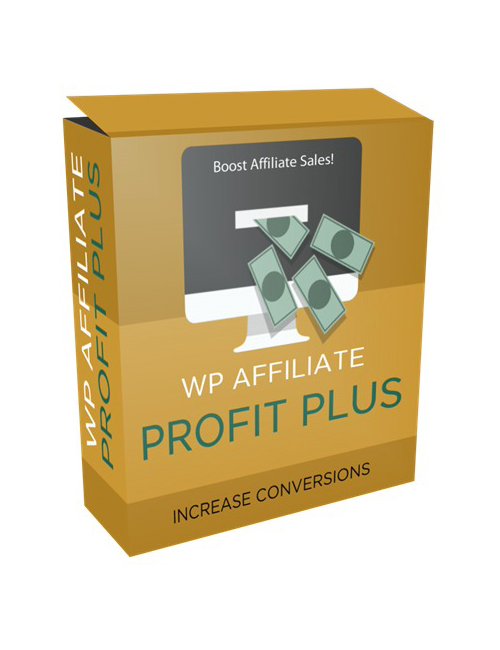 WP Affiliate Profit Plus – Increase Conversions is the tool that uncovers that facts to set up your solid online platform to make more money.